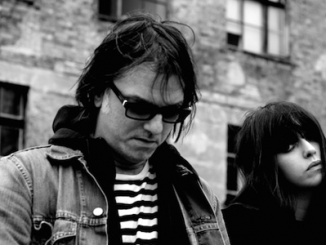 On June 29th Tess Parks & Anton Newcombe release the results of their exciting collaborative effort entitled I Declare Nothing. It is an enticing and tempting creation that combines Newcombe’s legendary psychedelica with Tess Park’s smoldering vocals. This is Park’s second release and Newcombe’s 15th full length release. A relative newcomer Parks more than holds her own alongside the veteran musician Newcombe, together they have produced an engaging release. Hailing from Toronto Tess Parks moved to London when she was seventeen to pursue a photography career and eventually moved onto music. Tess had impressed Alan McGee founder of Creation records when they met in 2012. Unfortunately it was not the best timing for both, with Tess at the time ready to move back to Canada and McGee not with a label at that moment. McGee gave Tess the advice to keep pursuing a musical career and form a band when she got back home. Tess followed his advice and formed The Good People. True to his promise McGee had not forgotten her, signed her as his first act for his new label 359 Music. 2013 saw the release of her debut Blood Hot which received excellent reviews. She has been described as having a voice that harkens back to the torch singers of the past. 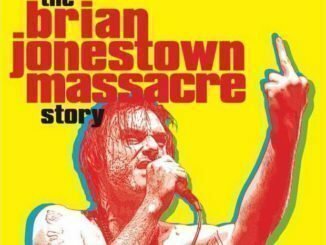 In 2014 Anton Newcombe, the ever prolific creative force of Brian Jonestown Massacre, released Revelation to critical acclaim. 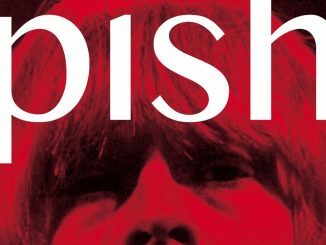 He followed up Revelation with the early 2015 release of the redolent Musique De Film Imagine. The legendary front man and gifted multi instrumentalist resides in Berlin where he owns and operates his own recording studio “A” Recordings. Newcombe utilizes “A” recordings not only to promote his own band’s musical alchemy but also as a launching pad for new talent. It is no surprise that Newcombe always the trailblazer is a natural at “paying it forward”, collaborating with new talents such as Parks. The project that became I Declare Nothing had its beginning when Newcombe and Parks started to swap ideas late last year on Twitter. The two had become acquainted through Alan McGee. Things progressed with the two deciding to collaborate on a full length release. The record was co written and co produced by both. In discussing working with Newcombe, Parks has said that “He is a friend and a mentor… he is really into helping people.” His multi faceted approach to music and innate curiosity allows him to delight in promoting fresh faces and innovations. On I Declare Nothing Newcombe’s skills as the master of American Psychdelica mix with Tess Parks hypnotic smolder resulting in a heady concoction. I Declare Nothing starts off with Wehmut German for wistfulness, the word’s meaning being reflected in the tune, a great folky psychedelic opener. BJM fans will find much to like on this track. Parks voice is a spectacular fit to Newcombe’s sonic vibe. Cocaine Cat is a song Parks stated that she had been incubating for a long time. It is a song full of smooth swagger and swirling slow mo psychedelic rock. There is audio magic going on here as Tess’s hazy hallucinogenic vocals blend with Newcombe’s stellar musicality. A definite “don’t miss track” on the recording. Peace Defrost utilizes a crystal clean guitar rift over fuzz reverb, with Tess’s gritty vocal performing aloft making for a woozy track. German Tangerine switches things up with the most perfectly balanced song in the collection. It is more of a rocker with a great jam out in the 2nd third of the track. It builds in both speed and texture as it unspools. It is my personal favorite. Gone is a brief track but don’t let it fool you, it has a lot going for it and is the first time on the recording we hear Newcombe on a cameo vocal. The song acts as a contrast to the prior selections. October 2nd is a smoky song that you can just lose yourself in, with multiple levels of musicality. It seems at first simple but has a complexity that has to be heard to be appreciated. The selection bringing on a kind of narcotic enthused state without all the hazards and flashbacks of the real thing. The selection is a simply stunning track. The noteworthy Mama gets under your skin; it has a great jangly guitar and a layered vocal treatment. There are shades of light and dark textures that are accentuated by the acoustic guitar as it makes full use of Park’s sultry and edgy vocals. Voyage De L’ame French for soul trip, is a brooding expansive song dealing with life’s big questions. It is deeply introspective with lyrics like “I look to the sky and look for answers then I realize there are no answers”, and the chorus “I wish I was a baby again, I would kill for a do over.” Parks and Newcombe take us to a place of contemplation and let the listener drawn their own conclusions. After the cerebral climax of the album, Meliorism arrives with a more R & B vibe, with a strong bass intro and galloping beat. The word Meliorism is defined as the belief that the world can be made better by human effort.” This song is possibly the answer to the questions that are asked in Voyage de L’ame.The song has the feel of classic 60’s folk rock and the Hammond organ is a great addition adding a kind of optimism that lifts the song. The album ends on a strong note with Friendlies, another more up tempo song where Park’s is selling the song with her come hither vocal performance. It is mesmerizing and a great send off of the album with a glorious jam out at its conclusion. I Declare Nothing sweeps the listener along with Newcombe on his never ending journey of musical discovery. Additionally the album allows Parks to continue in her development as a noteworthy performer, benefiting from the tutelage of an experienced master of modern music. The album leaves the attuned listener hoping that this is not just a novelty project but the beginning of an exciting musical partnership. The album is certainly aimed for the more cerebral listener, but anything less would be beneath Mr. Newcombe’s high standards. It is an outstanding work from two astonishingly gifted individuals. as it often is with very attractive women, they get a record deal whilst having minimal talent. The only thing I can hear from her are the same breathy vocals on each song.